UPDATE: A friendlier to read infographic that was generated at a different time, but the distribution is pretty much the same. 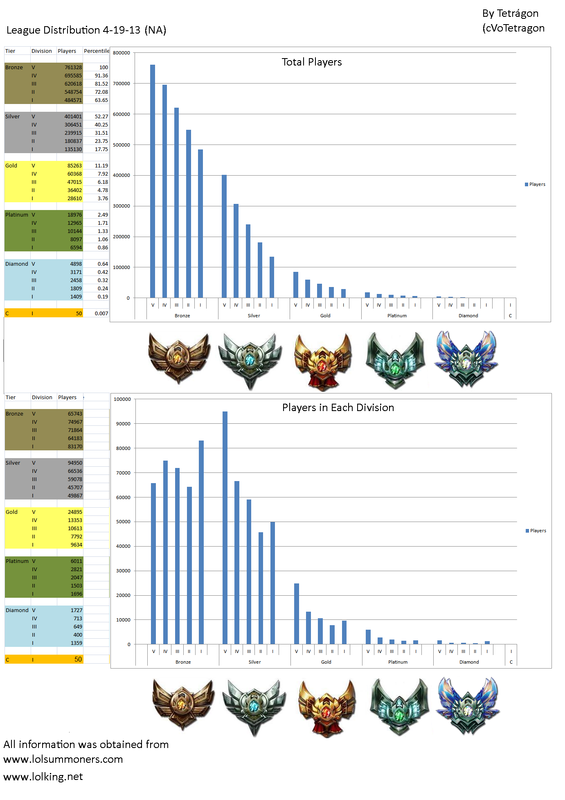 Silver + Bronze contains 90.7% of the entire Ranked playerbase with 835,828 players. Silver 1 (believe it or not) is GOOD. It means you are better than 84-90% of the entire ranked player-base. Don’t hate yourselves so much. Diamond 5 contains only 700 fewer players than Diamond 1, the rest containing half or less (with division 2 being a meager 1/3) that number.